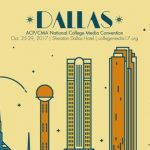 I’m headed off tomorrow for College Media Association’s National College Media Convention in Atlanta. I’m quite a conference nerd. I love networking and learning from others who share my passions. There is something rejuvenating about spending a few days with others who are just as nerdy about journalism as I am. It’s like being around a whole group of people who speak my same kind of dork. I attend every conference possible. I am a learning nerd! As a result, I’ve learned a few things about what to do and what to avoid. Here are my 12 tips for CMA Atlanta success. If you’re doing the conference thing correctly, it means you’ll be pretty busy most of the day. You probably won’t have time to eat much until dinner. Vending machines are expensive and inconvenient and, if the conference provides food options, the lines often are long. Visit a store when you arrive at conference and grab some snacks so you can power through the day without passing out. Use social media to share what you’re learning with others. The hashtag is #CMAATL16. I’ll see you there! If you aren’t attending the conference, I still encourage you to follow along. I promise you’ll learn. A couple of words of advice. It’s great to share your learning, but try not to spend the entire conference with your face in your phone or laptop. Remember that you should network with those who are there. Also, don’t use the conference hashtag to share how drunk or hungover you are. I promise that is not the kind of professional reputation you want to build. You’ll meet a ton of people, so it’s important for them to remember who you are and vice versa. This also helps you identify conference attendees for the big elevator pitch. I am the worst about forgetting to bring my business cards to conferences. Without cards, I have to write down my name, number and/or email address for anyone who asks. It really hinders networking when you’re unprepared. Bring business cards, copies of your resume, examples of your professional work, and copies of your most recent publications. You should “dress for the job you want, not the one you have.” I wear professional dress all day and in the evening during the entire conference. Remember that networking is a huge portion of the conference’s purpose. Dress up from arrival to departure (yes, even on the plane). If I see you in your PJs, I’m judging you. You are at the conference to network and learn. Too many times people seem to go to conferences to drink or sight see. You can do those things on vacation. You should take full advantage of professional conferences by attending as many sessions as you can each day. If you wake up early and attend sessions, there is plenty of time for fun in the late afternoon and evening. There are hundreds of sessions at conference. 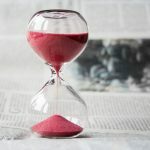 The best way to get the most out of your time there is to spread out your staff. I love to meet with the staff as soon as we check in and map out who will go to what sessions each day. By spreading the staff out among the sessions, we learn a lot more. Then, we debrief and share during breaks and at dinner. It’s impossible to remember everything you learn at a conference. You’ll also generate a lot of great ideas while listening to speakers or talking with others. Be prepared to document your ideas during the entire conference. I know it’s old school, but the best way to do this is to keep a pen and paper with you at all times. I usually carry my phone and iPad too, but the pen is my tool of choice. It never goes dead. Because you will get so many great ideas at conference, it’s important for you to have a way to organize them. Put them all in the same notebook or clip file. Make a plan to use them as soon as possible. Where do your new ideas fit into your current goals and objectives? Everyone likes free stuff. Be sure to gather handouts, books, pens, notepads, etc. If you won’t use them, someone in your organization will. Don’t attend conference just to chat with the people you know or hang out with your own staff. Use this opportunity to meet new people and make new friends. Enjoy your time at conference to embrace your inner nerd. Conferences are one of the few places where you can sit and debate or discuss the minutiae of your industry. Take advantage of being surrounded by literally the most intelligent people in your business. Learn from them while you can. You become invigorated with all you’ve learned at conference, but you’re tired and busy when you return to campus. Schedule a time now to share with your staff some key things you learned at conference. Do this the week you return, so everyone gets something from your conference experience. I’ll see you in Atlanta! Be sure to say hello!